The Independent National Electoral Commission (INEC) has said despite the refusal of President Muhammadu Buhari to assent to the Electoral Act (Amendment) Bill 2018, which makes the use of card reader mandatory, the 2019 elections will not be conducted with incident form. 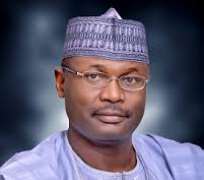 The INEC assurance is coming as the Peoples Democratic Party (PDP) Presidential Campaign Organisation has said the use of incident form in the impending general elections would be unacceptable to it. The electoral body, however, said the rejected bill would have addressed the controversies that trailed the 2015 exercise especially the place of technology and others that the amendments seek to address. Responding to enquiry yesterday, INEC’s Director of Voter Education and Publicity, Mr. Oluwole Osaze-Uzzi, said the presidential veto has created no lacuna in the electoral legal regime, explaining that the Electoral Act 2010 as amended in 2015 would be the operative law. Reacting to a report by an online newspaper that 13.5 million voters voted for Buhari without full biometric accreditation in 2015, Osaze-Uzzi said, “How was this determined? Biometric accreditation does not determine who a person votes for. Put another way, the card reader is used for biometric accreditation. It doesn’t determine how such persons vote. The president also listed four provisions of the bill that required drafting amendments by the National Assembly. They include Section five of the bill amending section 18 of the principal act, which should indicate the subsection to which the substitution of the figure “30” for the figure “60” is to be effected and Section 11 of the bill amending Section 36 should indicate the subsection in which the proviso is to be introduced. But the PDP presidential campaign said the use of incident form would not be acceptable to it in 2019. One of the spokespersons, Mr. Segun Sowunmi, said that outpouring of goodwill by Nigerians since the PDP started its zonal presidential campaigns was an indication that the All Progressives Congress (APC) could not win the election in a free and fair contest. He stated, “I want to tell INEC that it is a major unacceptable embarrassment that the business of incident forms will now take precedence over the card reader. Sowunmi insisted that the 2019 elections should be a celebration of the development of the country’s democratic journey, which he said could only be achieved if INEC conducts free, fair, credible and transparent elections in 2019. An online newspaper at the weekend reported that at least 13.5 million Nigerians voted manually, without biometric accreditation, in the 2015 presidential election, according to data from INEC, part of the problems the amendment bill seeks to address. The data, obtained by DeepDive Intelligence, shows that Buhari, candidate of the APC, won in nine of the 10 most-affected states, notwithstanding that the non-use of PVCs during the poll cut across all the political parties’ strongholds. The 2015 presidential election had two major contenders, Buhari and Goodluck Jonathan, Nigeria’s first incumbent president to lose a re-election bid. Of the 31,746,490 accredited voters in the election, 13,536,311, representing 42.6 per cent of voters, voted without biometric accreditation. Out of this number, 10,184,720 votes are from states won by Buhari and 3,351,591 votes came from states won by Jonathan, the PDP candidate, representing 75 per cent and 25 per cent of accredited voters respectively. – Thisday.